One of the biggest changes in the last year as we’ve transitioned from college football to high school is how different the opportunities there are for our whole family to serve the team. 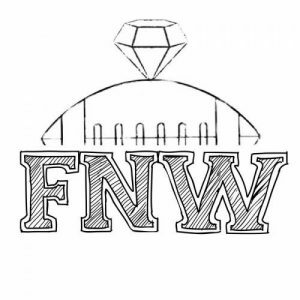 I’ll be honest, after almost two decades of the same insane schedule I was a little bewildered on where to begin to establish our new football normal. I had a clean slate of opportunities. There were zero expectations as to whether I would support our booster board or even attend the football games. That left a lot of space to jump in (or not) but also created a unique opportunity. With each year the booster board will look different as seniors graduate and new parents join the group. I believe this creates a new opportunity for traditions to be re-evaluated and tweaked to best serve the group as a whole for the coming season. Instead of jumping in with a “we always” take time to listen and observe body language. Is this a group of parents who are eager to serve but already has over-commitment-itis? Or is this a group that has worked together before and has well-defined roles? As the booster officers are announcing the ways parents can be involved or the holes they need help filling let the parents volunteer first. I’ll be honest, this was hard for me, but in the end, I believe it is an important step. The parent’s involvement in fundraising, being present in the stands and seeing your husband invest in their sons is the priority here. When all was said and done there was a job that the booster board was very concerned about filling. They wanted someone to be on the sidelines at the football games and possibly practices taking action shot pictures of their sons. They didn’t want to pay someone if at all possible. Taking pictures of our teams is something I’ve done for years. It’s also something that I enjoy. This was an easy way to step up and support our parents as a whole, fill a need for our booster board and stay involved. As an added bonus, this job is one that allows me to serve the team in a way they see, which is a cool way to show them we support our coach without having to say it. Here’s the thing, concessions are a massive fundraiser for any booster board, and if they want the special things for their sons they need to step up. There is a balance between helping to fill a gap and doing the work that parents can do. This goes both ways, even if there is something you love to do if a parent prefers to take on the role, it’s theirs for the taking. The last thing I’ll add is to always be grateful for the parents and to let them know you see their sacrifice of time and value them. 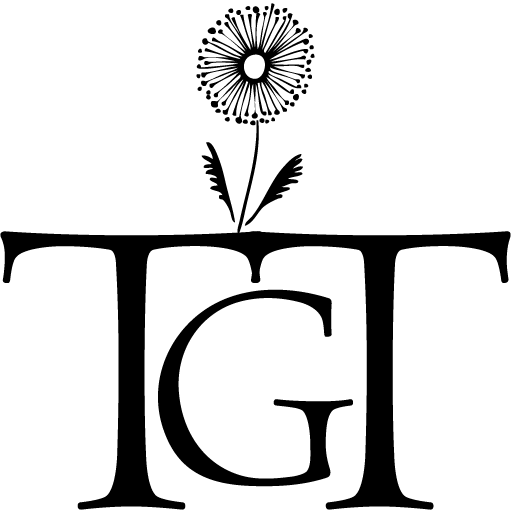 If appropriate take time to send them thank-you notes after the season or even purchase flowers or a small gift for the board members who have gone above and beyond. One caution, don’t establish a standard you aren’t willing to continue. If you aren’t going to give a gift each year, don’t do so publically. Supporting a booster board isn’t always possible. You may find that parents prefer a separation between staff and families. That’s ok! 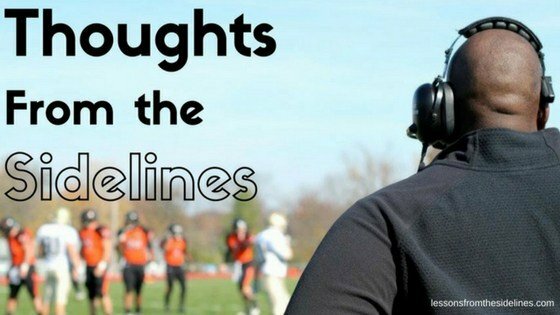 Each season is different, each team is different, and every school is different. 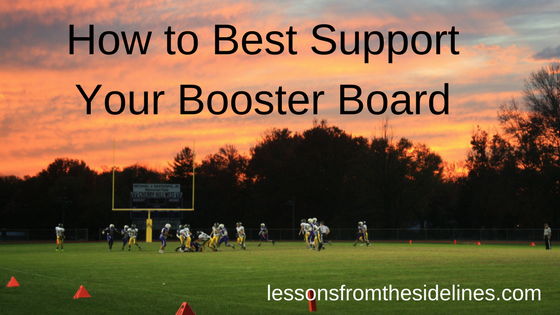 If you are looking for small ways to support your teams consider partnering with your booster board. In my experience, it’s a great way to stay involved.